It is with great sadness that we announce the passing of Marshall William Duliba on Thursday, December 24th, 2015. 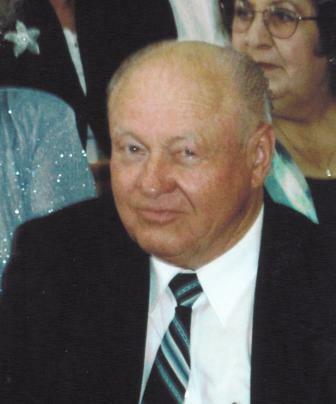 He will be remembered by his wife Olga, sons Daryn (Teena), Kevin (Erin), three grandchildren – Emma, Evan, and Emberly, brothers Edward (Lorraine) and Ernest (Joan), sisters Josey and Annie , niece Sandie (Les, Sabrina, Kylie), extended family in Edmonton, Alberta, and numerous friends whose lives he touched in Kamloops. Marshall was born in Vegreville, Alberta, on January 16, 1938, and lived in Edmonton before moving to Kamloops with his family in 1973. For many years Marshall worked in sales for both Mac Tools and Metalon Industrial Products throughout the Kamloops region. He was an avid participant, supporter and spectator of his sons’ athletic pursuits in the community including hockey, soccer, and softball. Marshall was renowned for his willingness and ability to diagnose and repair small engines and automobiles — a pastime he approached with great enthusiasm and pride. Marshall will always be remembered by those around him as a man of honesty, and integrity who put the wishes of others before his own. For that, he will be greatly missed but fondly remembered by those with whom he interacted. We will greatly miss our husband, father, grandfather, uncle, and friend, who will always remain in our hearts and memories. An informal remembrance gathering for friends and family will be held on Saturday, January 2nd, at 1 – 3:30, downstairs in the commons area at the Ukrainian Orthodox Church of Kamloops, located at 1044 8th Street. Everyone whose life Marshall touched is welcomed to attend. A formal service will be conducted in Edmonton, Alberta at a date and time to be announced in the New Year. I will miss you dearly uncle Marshall. You never failed to make me laugh with your unique humour. Condolences to the entire family. We were very sorry to hear of the passing of Marshall. Our sympathies to Olga, Kevin and Daryn and family and Jose and family as well as to Ed and Ernest. Our thoughts and prayers are with you. May all the good memories help to ease the pain. Just to let you know that you are being thought of during this very difficult time. Uncle Marshall had a special way about him and will never be forgotten. I’m sure you realize that all the messages of support, indicate how much people share your sorrow. Take care. My heart is with you through this tough time my love for you and your family. I know it’s never a good time to lose a member of your family but to have it happen during the holidays is always much harder to deal with. I never met Marshall but I’m sure he had his moments where you miss him for those things. I will always be there for you my love through thick and thin and wish you and your family all the best to come in the new year. Peace be with Marshall and I hope you and your family find closure in these coming months. My love to you all. I only met Marshall once but my experience of him was he was a very kind, real, funny and a genuine good person. I had the honour to meet him and his family as a guest to their home passing though Kamloops on a trip with his niece Shelley. My sincere condolences to all his loved ones.